I got this picture at Foreign affairs ministry of my country, when i worked in the historical archieves of the ministry, that i know in the urriculum of this man called Harun-al-rascid-Bey that recived the comedators cross of the white rose, with the finnish nationality. I have never seen a photo of him before-- did he emigrate to Ecuador after 1945, Carlos??? 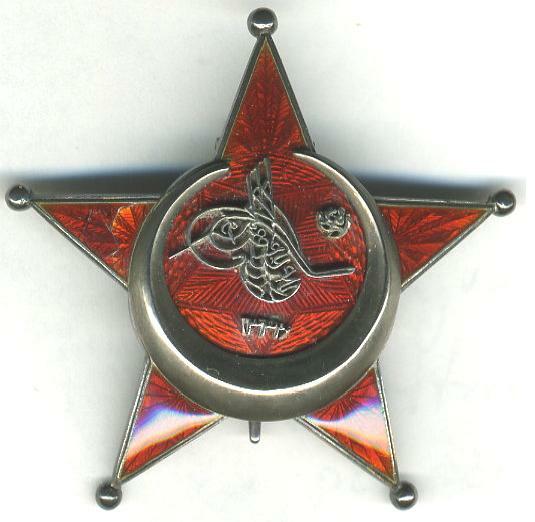 He only went to the Turkish front in 1917-- and converted to Islam in 1919. He then changed his name to Wilhelm "Harun-el-Raschid-Hintersatz." SS Standartenf?hrer 1 October 1944 to command the "Ostt?rkischer Waffen-Verband." As of October 1944 he had received NO awards for World War 2. 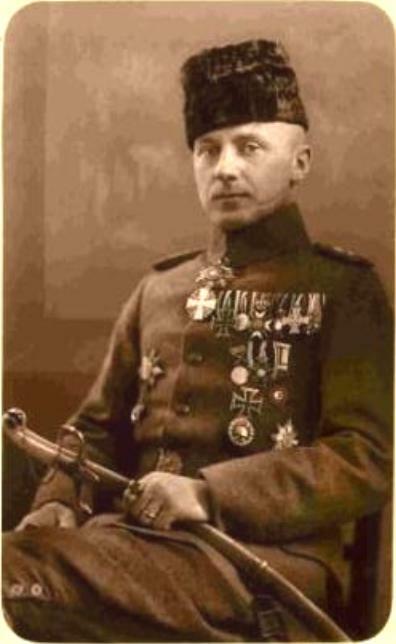 Among his World War 1 awards are both Prussian Iron Crosses, the 1918 Black Wound Badge, over on his right side the Turkish War Medal Star (he appears to be wearing some Turkish Order at his throat, as well as on the second row of medals below his German medal bar), the Georgian Order of Saint/Queen Tamara (one of the stars he is wearing, but the scan is too blurry for me to tell). Second on his German medal bar after the Iron Cross 2nd Class is his Prussian Lifesaving Medal from before 1914. 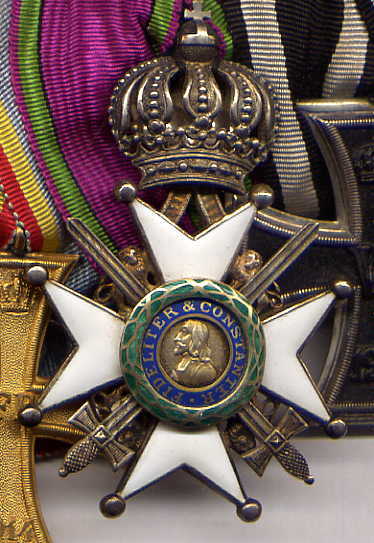 3rd on the bar, the white cross with Crown on top is his Saxe-Ernestine House Order-Knight 2nd Clas with Swords from Saxe-Altenburg ib 7 April 1917 when he was Adjutant of the 21st Landwehr Division. I cannot tell what the other awards are on that bar (a nice sharp photo would help). Always happy to share this kind of things!! 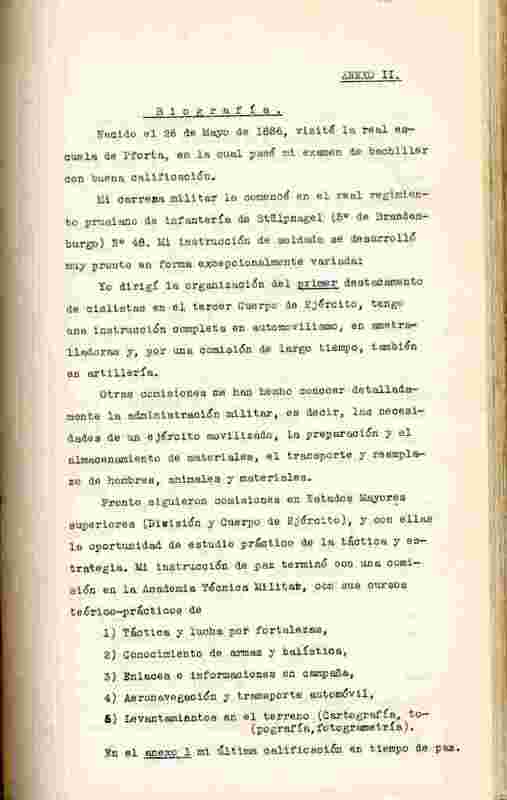 !, im interested specially in this person because he designed a project to build a national militia in my country to colonize the jungle territories (taked away by Peru at the war in 1941). and he dont go as an imigrant to my country, because at the final the project dosent be approved. PD:sorry im not good with editing picturs can i send you to post by me? My computer technology is even worse! 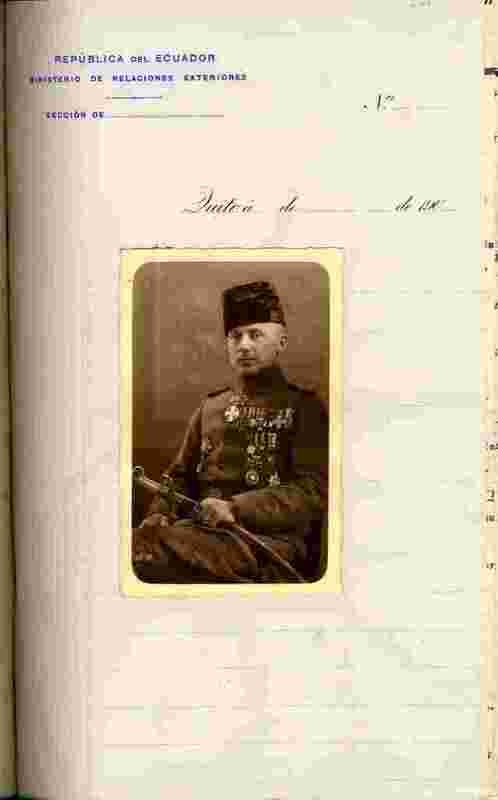 His German medal bar = Iron Cross 2nd Class 1914, Prussian Lifesaving Medal, saxe-Ernestine House Order-Knight 2nd Class X, I think that is a Hamburg Hanseatic Cross next, then the Lippe-Detmold War Merit Cross, and finally the Austro-Hungarian Military Merit Cross 3rd Class with War Decoration. Prussian Iron Cross 1814 1st Class, something I cannot make out at the same height closer to his arm (Bulgarian Red Cross badge, maybe), then underneath a pierced 1918 Black Wound Badge and the circa 1933-34 "Hamburg Feldehrenzeichen" unofficial WW1 veterans star. So this portrait dates from aout 1933-34, before he received his WW1 Hindenburg CRoss for Combatants from Germany. or he is ... exaggerating to impress the government in Quito! JAJAJAJA yes maybe is exaggerating, as i know have a very good relation with the Consul of Ecuador in Berlin! One hundred of thanks by the information!!! 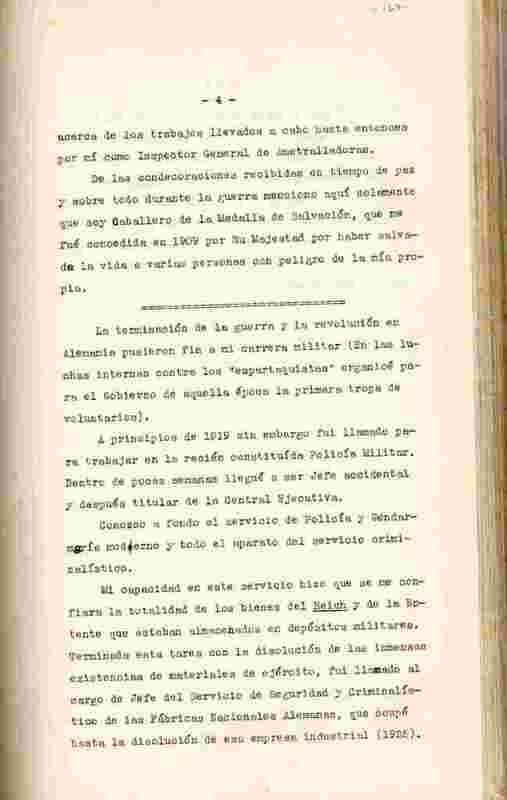 PD:I also have all the curriculum of the officer but is in spanish. READING Spanish is no problem for me but I cannot SPEAK it! Sorry time to go to sleep!!! Hintersatz was very pleased with himself, but this is a solid statement of his qualifications. No exaggerations or bragging... no pretending to have been more important than he really was. a ONE MAN "UNITED NATIONS," that guy!!! For WW2 he showed NO awards as of the October 1944 SS Seniority List. After that.... ???? I think you would have to ask some SS specialists about his career 1944-45. Very Interesting man, indeed. Thanks for sharing this, Carlos! Could somebody with more language skills than I translate that part about Finland for me? 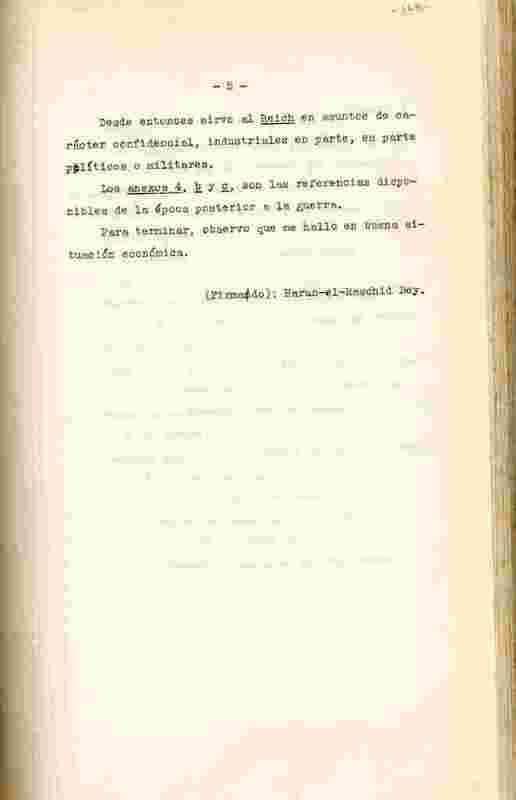 On pages 2 and 3 of Hintersatz's account, he states that after briefly serving in aviation, he was assigned by the IIIrd Army Corps to prepare the first organization of Finnish volunteers to be employed in the liberation of Finland from the Russian Empire-- creating the foundation for the Finnish army. In recognition of this and as a Finnish war decoration he recieved the White Rose-Commander and was granted honorary Finnish citizenship. There are no dates for any of this, but the time period would have been 1916-17, so his White Rose and citizenship were undoubtedly actually conferred after the war. I would LOVE to see under what name he is carried on the White Rose roll! Wha's "Harun-el-Raschid" in FINNISH????? Based on that, it looks like Hintersatz got maximum amount of glory and gongs with minimum possible work. On 25. February the first 55 Finns arrived at Lockstedt barracks to form a top-secret "Pfadfinderkursus", but before that..
"By the mid-february 1915, some 15-20 Finns in need of military training had already arrived to Berlin, and to make the best out of their waiting-time, it was decided to give them a brief, unofficial course on military basics. On 15. February 1915 the opening ceremonies of this course were held in the apartment of mr. von der Heyden, at L?tzowstrasse 109-110. Leader of the course was his son, Oberleutnant von der Heyden, who was assisted by Leutnant Hintersatz. The most important aim of this course was to give the Finns a general view of military and warfare. The participants got lectures on military discipline, different arms-of-service etc. Oberleutnant v.d. 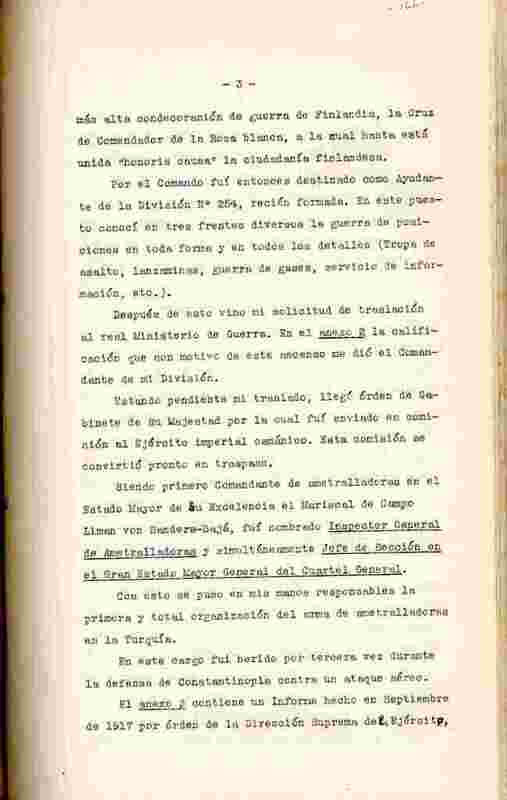 Heyden lectured about the organization, armament and usage of artillery, and famous military author Lt. Col. Frobenius gave an overview of the current war. In addition to this, the course visited in some of Berlins military institutions and did some outdoor exercises on field fortification and map reading. The course ended on 23. February." 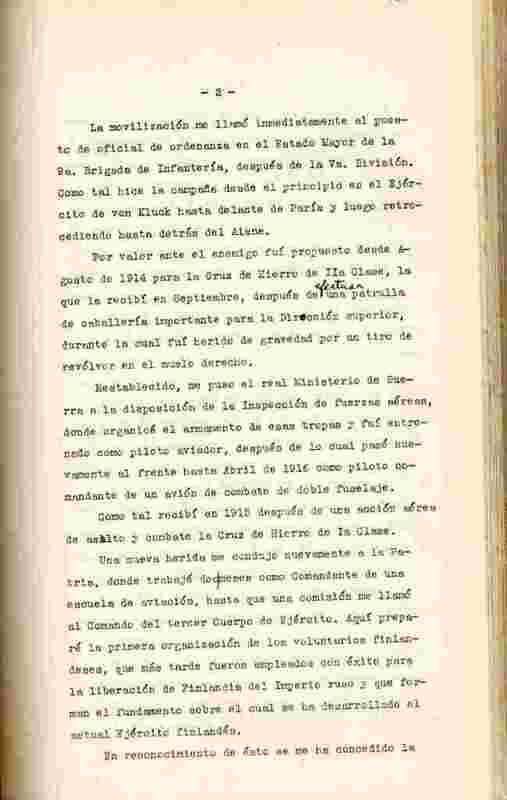 .. and that is the sole mention of him in the official history of the K?niglich Preussisches J?gerbataillon nr. 27! Too bad my roll of SVR awards to Germans only covers the years 1940-44. I didn't spot his name (whatever it might have been ) there, so he probably got it between 1919-1939. 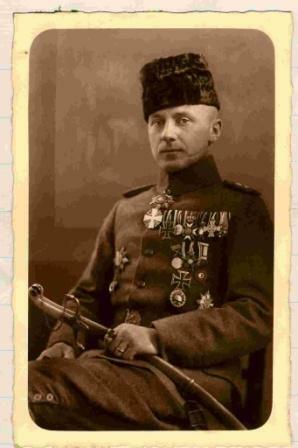 Cool to obtain some extra info about this man, im really curious someone have more pictures of this man, or know where had finished his medals?, now im gonna post another picture, the signature of harun-el-Raschid. what a strange career. I had to look twice if the thread wasn't opend on 1st of April. I thought I'd add a photo of the Order of the White Rose because from afar they don't look particularly interesting. Once you get up close, however, it is much more interesting. I am absolutely enthralled by the design of the lions with the swords and their tongues sticking out. 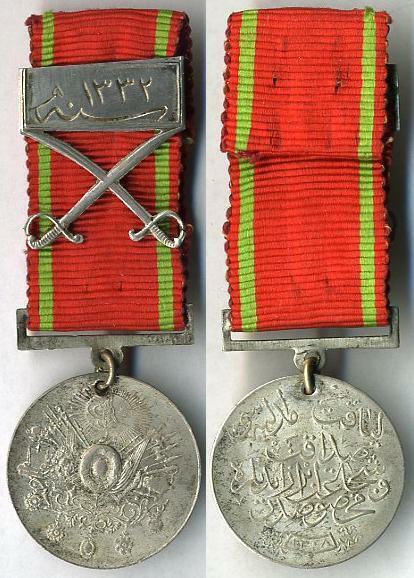 "a very strange German mounted award with a Spanish style crown that I do not recognize (some unofficial veterans award???" It looks a little bit like an austrian Franz-Joseph Order. 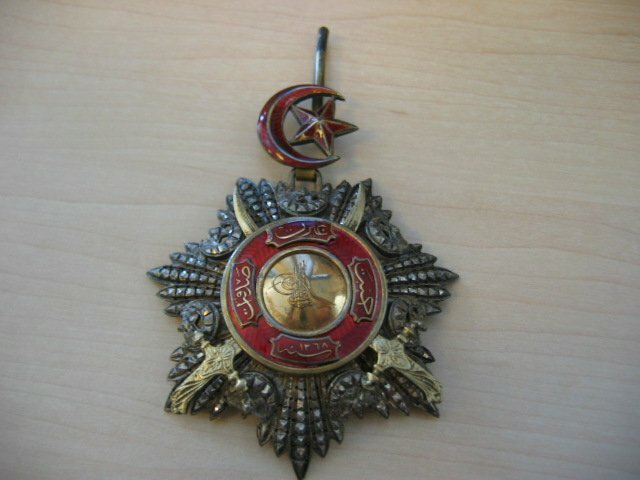 • The unidentified award between the Liakat Medal and the Red Crescent Medal is the Russian Order of St. Stanislaus, awarded on 10 July 1914. These award dates were in the receipt for his Lippe-Detmold War Merit Cross, which he sent to Detmold on 27 June 1918, so all his other awards are from after that date.